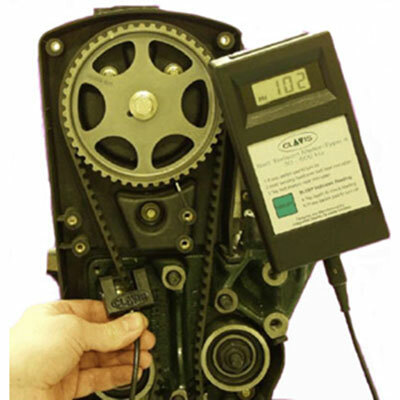 “CLAVIS offers accurate measurement of belt tension which is a very important requirement for ensuring efficiency of transmission. CLAVIS UK make instruments are suitable for all kinds of transmission belts without much of operator’s skill. It’s patented sensor head picks up the vibrations and the reading is displayed on Digital Read out. The accuracy of instrument is +/- 1%. This instrument is operated with batteries. 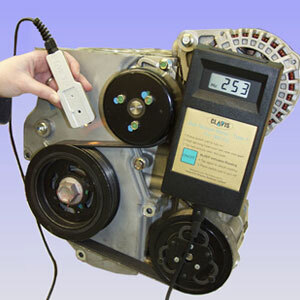 The instruments are very useful for Automobile Manufacturers and their quality assurance department /engine shop. It is very popular with CNC machine builders and maintenance departments to ensure operative efficiency. 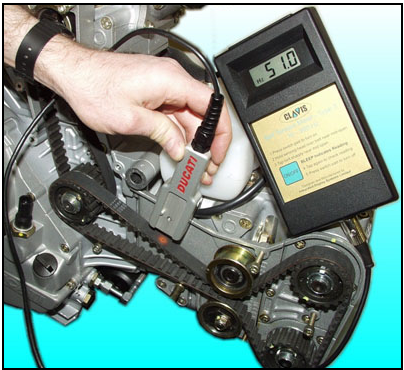 CLAVIS Instruments offers readings in Hz, Newton, Kg/CM & Ft/Lbs . 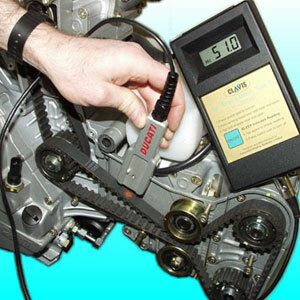 Instruments have wide selection of sensor heads depending upon the belt sizes and it’s accessibility. 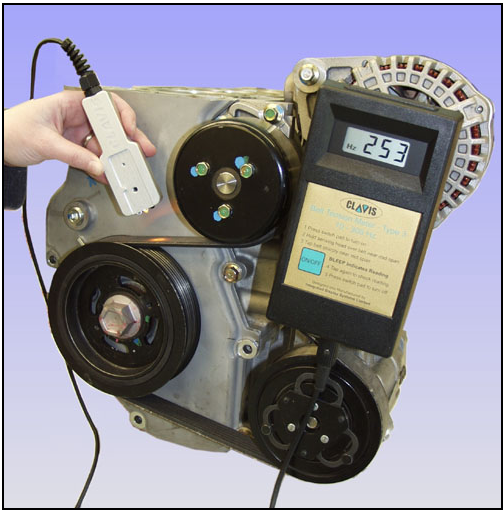 Clavis also offer instrument /sensor heads to measure vibrations with Optical Sensor Heads. Special Heads are also offered for steel belts. Few of the models offer the possibility of data transfer with RS232 port A calibration certificate is provided with every instruments and a resonator Fork is also provided for self calibration for self calibraion time to time. Clavis offers Belt Tension Setting Equipment and Break Setting equipments also.